So glad my husband is doing better. He had back surgery almost 10 weeks ago. It was difficult to come home and always find him sitting on the couch. He is the type of guy that never stops. Now when I come home he might not even be there! He's doing things, like taking the car for an oil change. He is going to try golf tomorrow! Having him is the first thing on my Christmas list. Digital Delights is the maker of these wonderful, meaningful digital stamps. I printed the sentiment larger than the image, to accentuate how important George is to me. I chalked a heart by making a stencil out of copy paper. I outlined it in Stickles. The packages are colored with Prismacolor markers. 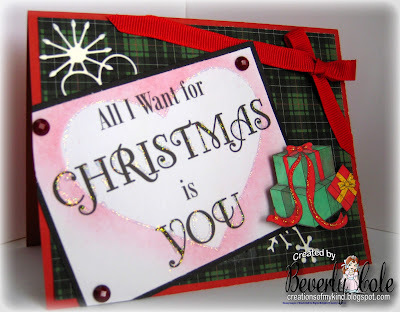 The lacy die cut is from my Card Club I attend. I don't know who made it. I used Totally Tartan paper from DD. The gems are from Hobby Lobby. The ribbon is Offray from a trip I took years ago to their outlet store in Pennsylvania. The card stock is CTMH cranberry. Hope you like it. Be SURE to check out Digital Delights. Love your card this week! It's totally brilliant how you placed the heart behind the sentiment! I love it!!! Gorgeous and love the photos! Fabulous Christmas card Bev..great card for a male..so glad to hear your hubby is doing so well..
What a dashing Christmas card! 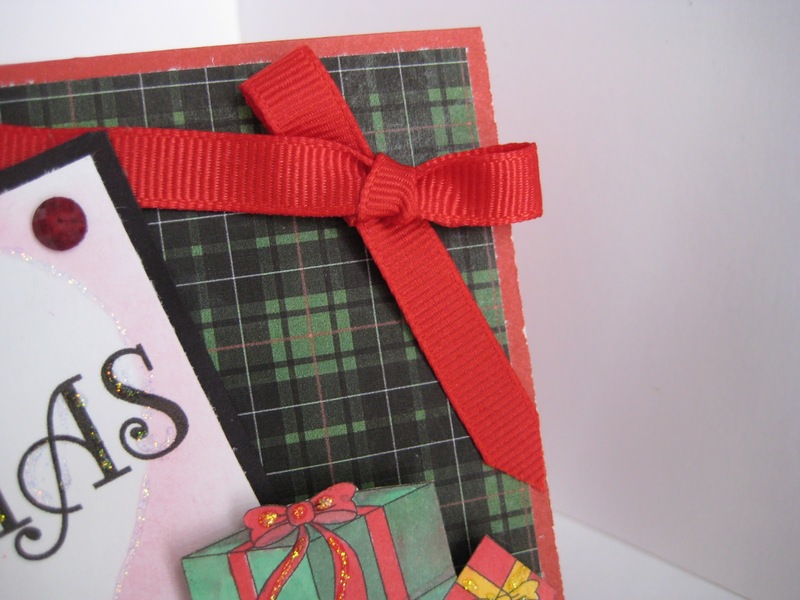 Thanks for joining us at Kaboodle Doodles’ “Plaid” Challenge! A fabulous card...thanks for joining us at Divas! Cute Christmas card! Can't believe Christmas is right around the corner! Thanks so much for joining us this week on Tuesday Alchemy! Hope to see you again! 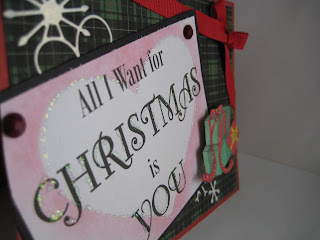 Great card - the sentiment works really well as a focal point and I love the tartan paper. A beautiful card, thanks for joining us at elke Kaart een Feestje! 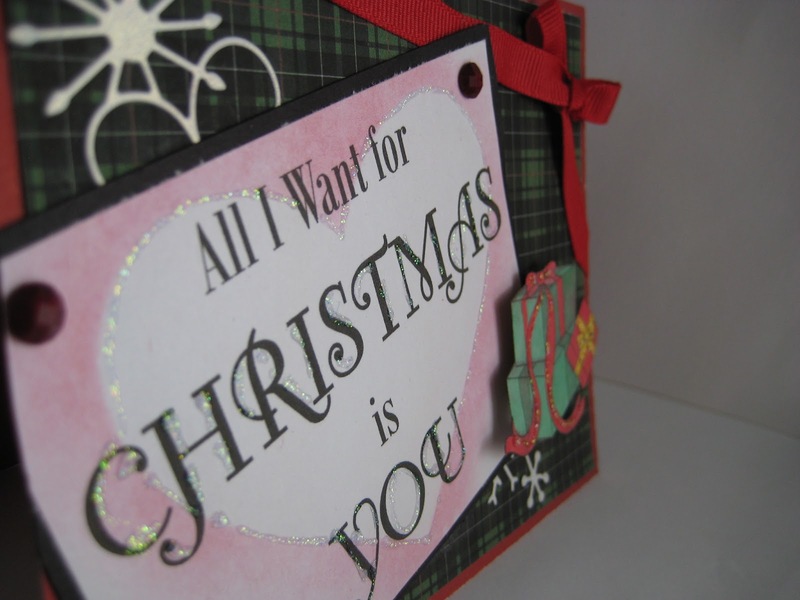 Great Christmas card with lovely details. Beautiful card. I love the plaid background. Clean and simple but perfect for the holidays.Thanks for joining us at TTCRD. Love your tartan plaid card! It's my favorite for Christmas. Glad your husband is doing better, too! Thanks for playing along with us at Kaboodle Doodles this week. What a sweet post, so happy your hubby has recovered and is enjoying life. 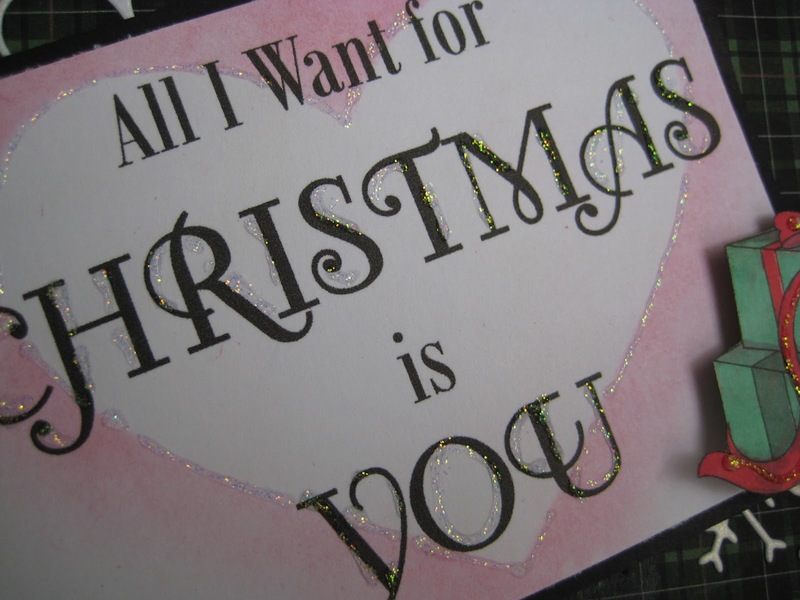 Your card is so pretty and your love for him shines through! Thanks for joining us at Top Tip Tuesday. Wonderful Christmas card! Thanks for joining us on the Kaboodle Doodles Challenge Blog! Pretty card! Thanks for joining us at at Forever Friends Challenge. 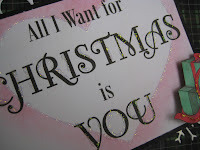 Love it & I love that song (All I want for Christmas is You by Mariah Carey) Sweet card! Wonderful words and very beautiful card! Thanks for joining Tuesday Alchemy! Thans for joining us On EKEF! A wonderful card. Thank you for joining us at Craft-Room Challenge.